Illegal immigration is a clear and present danger not just to America, but to the whole world. Luckily, Poland knows this. Dominik Tarczyński, a member of Poland’s Law and Justice party was recently interviewed by Britain’s Channel 4. Tarczyński then declared the obvious: that his country is safe because it refused to accept illegal Muslim migrants. From the video, it became obvious that there is no neutrality in this interview and it is held for a certain purpose. Channel 4 host Cathy Newman, asked Tarczyński how many refugees Poland has taken. Tarczyński answer: “zero”. 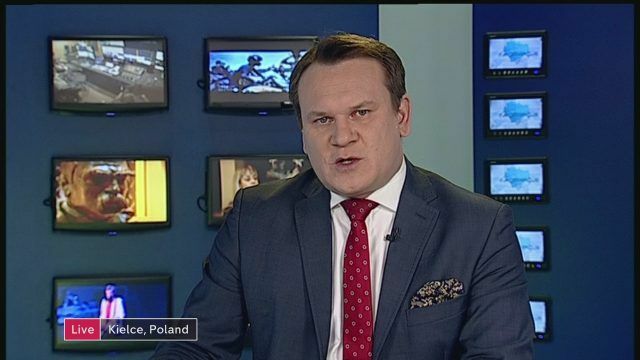 He explained that his country has accepted already 2 million Ukrainians are working peacefully in the country, but added that Poland will not receive even one Muslim, because that is what “we’ve promised”. “We will not receive not even one Muslim because this is what we’ve promised,” Tarczyński said. A government protecting its own people instead of replacing them. That is an example America need to follow. When we have legal Americans protesting in the streets calling for the abolishment of ICE and open borders–we have problems America! A journalist from a country full of terror attacks tries to racist-shame Poland, a terror-free country, who is doing exactly what the people of Poland want. The UK didn’t ask their citizens what they wanted…they told them what they were getting & “racist-shamed” anyone who even though there might be a problem. Poland will have tourists. Force-Fed UK? Not so much.